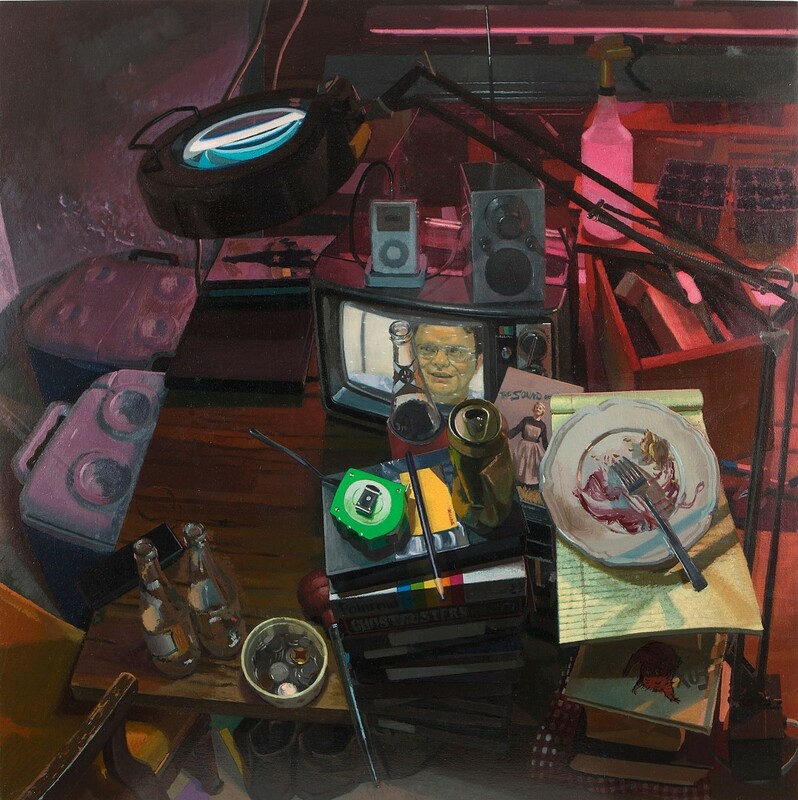 Sam King interviews painter Neil Callander, whose work will be on view in the exhibition Made Realities/Real Situations: Recent Paintings by Neil Callander, Russell Horton and Marc Roder at the Washington Art Association, Washington CT from April 9 - May 7, 2016. Callander comments: "I’m not a certain-minded or directed painter but I am a confident painter. In other words, I never really know what I’m doing but am confident I’ll be able to find my way in the end. This kind of uncertainty allows for richly painted surfaces. I scrape, sand, wipe, scratch my paintings – subtracting paint happens about as often as adding paint. In moments of frustration I also spit on them, step on them or smear food into them so that they don’t shut me out. That sounds weird but there’s a strange control dynamic that painters know about and deal with in different ways. There comes a point when the painting starts talking back and telling you what it needs to be finished. That’s a dangerous time because doors start closing, avenues of discovery and spontaneity disappear. And one can just proceed on the easiest path towards completion – the one they have trod before. I detest that feeling and so fight to be open to a painting flipping to completion in an instant."